God’s heart is for diversity. Not only did He create each person uniquely, but as image-bearers of Him, we reflect different aspects of His character. When we come together, we reveal a more complete picture of who He is. But the more I learn about diversity, the more I realize how much I don’t know. I don’t know what others have experienced. I don’t know what has shaped people’s deeply-held beliefs. I don’t know why people think or do what they do, even though they have reasons. Yet I have been prideful. I have thought that I am right in my beliefs and others are wrong. I have judged and been angry at people who don’t think the way I do. I have wanted to control and change people to be more like me. In the midst of this ugly pride and self-righteousness, God is revealing to me the depth of my sin and my desperate need for Jesus. I need His forgiveness, His grace and His righteousness. I don’t know everything (or very much at all) and I desperately need the One who does. God is teaching me that for diversity to flourish, humility is essential. Humility is vital for relationships to thrive, especially in relationships where people are quite different from each other. To listen. We must listen to each other’s stories and experiences. For there to be understanding, compassion and depth in relationships, we must be willing to listen to the experiences of people who are different from us. To listen without trying to give an objection, a defense or a justification. When someone shares something about his or her life, and we respond with this kind of answer, it lacks empathy and builds walls in the relationship. To admit we don’t know everything. Even though it’s true that we don’t, we don’t like to admit it. However, we must in order to listen well and seek understanding. To apologize and ask for forgiveness when we’ve wronged others. Often, we inflict pain on people who are different. We need to ask forgiveness for that pain in order for healing and restoration to occur in relationships. To be kind to people who think differently from us. It has become the norm to harshly criticize and insult people who disagree with us. But that causes deep divisions among people. To learn from others. We can learn a great deal from people who are different from us. Their perspectives give us a broader picture of the world and God. We need people who are different from us to help us grow. I pray that we would be people who walk in humility toward others, leading to greater diversity in our relationships. In doing so, we will reflect the beauty of God to this world. In the millennials network of Cru, we pray for a network of diversity of ethnicities, backgrounds, vocations, neighborhoods and churches. We are trusting God for diversity that’s not simply a variety of people sort of knowing each other and sometimes coming together at events, but that people who are vastly different from each other would experience authentic, Christ-honoring, others-honoring relationships. Would you seek God by praying, and learning, with me? About the author: Adrienne Minor began working with Cru in 2005 and ministered to college students in New York City, London, at Syracuse University, Cornell University and Walt Disney World. She now ministers to millennials in New York City. She is passionate about reaching people who are influencing and shaping culture. 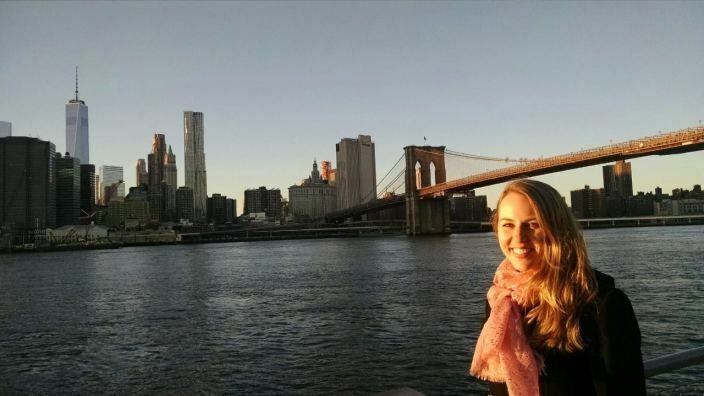 Adrienne enjoys baseball, trying new things and exploring NYC. This article was originally published on the Cru New York City blog.